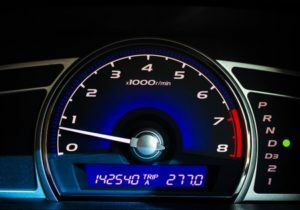 When is High Mileage too High | Car Couriers Inc.
Americans put an average of 15,000 miles on their vehicles every single year. Between commuting, road trips, and running the kids back and forth to soccer practice, the mileage really adds up. Not only does keeping the number on your odometer low extend the life of your vehicle, it also secures a higher demand when it’s time to sell. Keeping mileage low protects problems from racking up and maintenance costs low. The more you drive, the more it will cost you. Wear and tear repairs such as replacing fuels pumps, rear brakes, flushing the radiator and maintaining your exhaust system become quite pricey. This goes without mentioning the costs of gas prices and the impact driving has on the environment. Keeping mileage off your car is imperative to its longevity. If you aren’t among the lucky able to work from the comfort of their own home or walk to their office, then there are a number of measures you could take to diminish the amount of miles you rack up on your vehicle on a regular basis. Aside from taking the opportunity to walk whenever possible, avoid long road trips in your car. Highway mileage is the least detrimental to the mechanics of your vehicle. Unfortunately, it is also the kind of mileage that turns the odometer the quickest. And when it comes to sell your car, proving it is indeed highway mileage is very difficult to prove to the buyer. Mileage is mileage and whatever the odometer says is usually taken at face value. ← Summer is Full of Movers. Why?